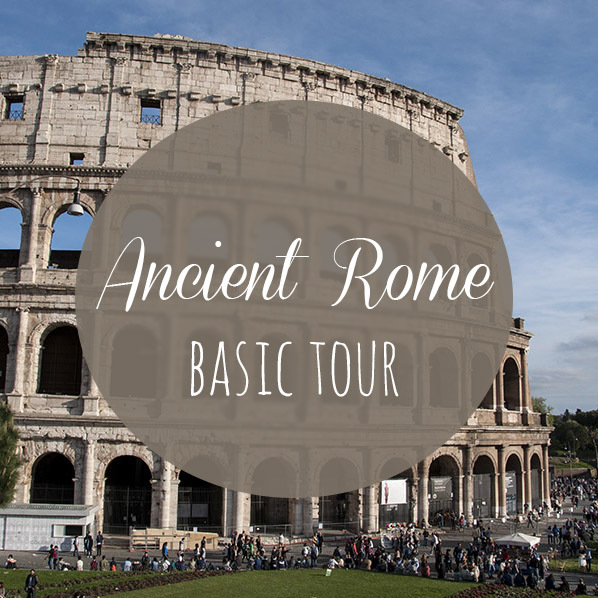 Standard tour of the Ancient Rome with an archaeologist as your guide, perfect for a first visit. After a brief introduction about the Roman History, just to understand the timeline of the Ancient Rome, we'll visit the Colosseum, the most famous monument of the city. Then we'll visit the Roman Forum, the main plaza of the Ancient Rome, surrounded by impressive ruins, as the Temple of Vesta, the Arch of Titus or the Temple of Saturn, the House of the Vestal Virgins and many other. -This is a basic tour. Palatine Hill is not included. if you walk fast, we can do all in 3hours. - If you have problems in walking for hours or doing steps please let me know at the moment of the booking. RAIN POLICY:-This tour is totally outdoor. Tour is provided even in case of light rain since we can use umbrellas and raincoats. In case of heavy showers we can choose together to change the itinerary or to reschedule the tour (if possible). Admission tickets for the Colosseum/Forum are not included. I can purchase for you tickets with scheduled entrance time from the official website of the Colosseum. Colosseum tickets are subjected to availability and valid only for the selected date and timeslot. Tickets are not refundable, if you arrive late (30 minutes from the scheduled start) you'll be forced to buy new tickets. Please note that I do NOT provide private tours of the underground chambers. The visit must be booked separately, it's a group tour and for its duration (1. 30 h) is not compatible with my tour.